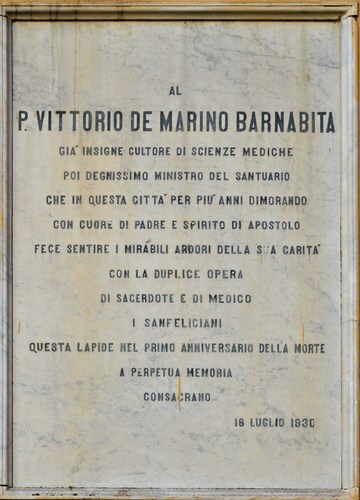 This marble tablet devoted to the memory of the doctor and Venerable Fr. 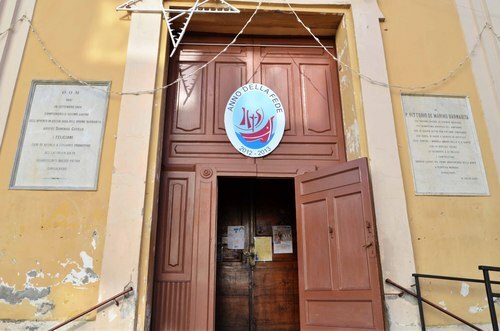 Vittorio De Marino was placed on the right hand side of the facade of the S.Giovanni Evangelista's Church in San Felice a Cancello (Piazza Padre Vitt. 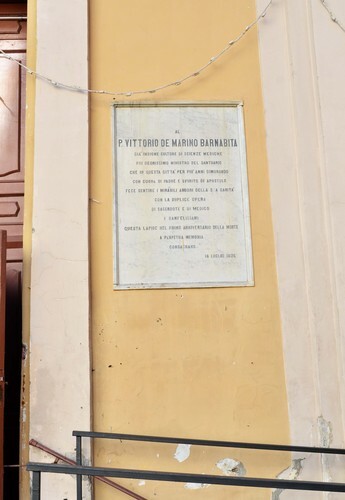 De Marino), on the 16th of July 1930, a year after his death. 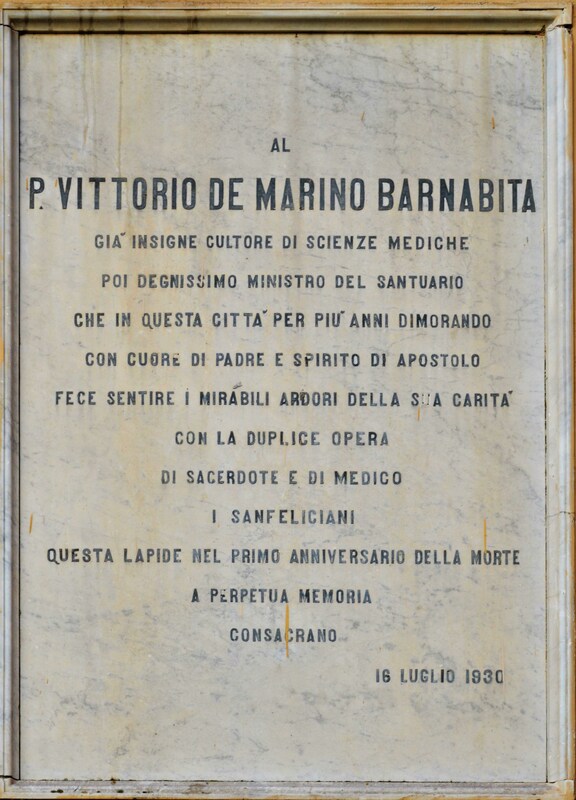 The italian inscription reads as follows: " AL / P. VITTORIO DE MARINO BARNABITA / GIA' INSIGNE CULTORE DI SCIENZE MEDICHE / POI DEGNISSIMO MINISTRO DEL SANTUARIO / CHE IN QUESTA CITTA' PER PIU' ANNI DIMORANDO / CON CUORE DI PADRE E SPIRITO DI APOSTOLO / FECE SENTIRE I MIRABILI ARDORI DELLA SUA CARITA' / CON LA DUPLICE OPERA / DI SACERDOTE E DI MEDICO / I SANFELICIANI / QUESTA LAPIDE NEL PRIMO ANNIVERSARIO DELLA MORTE / A PERPETUA MEMORIA / CONSACRANO / 16 LUGLIO 1930 " .